Wood ants are fascinating insects largely affecting their surroundings. They are important ecosystem engineers of our forests in which they play a significant role in nutrient cycling, food webs or decomposition of organic debris. But how, actually, does this social insect live and what happens in its nest? 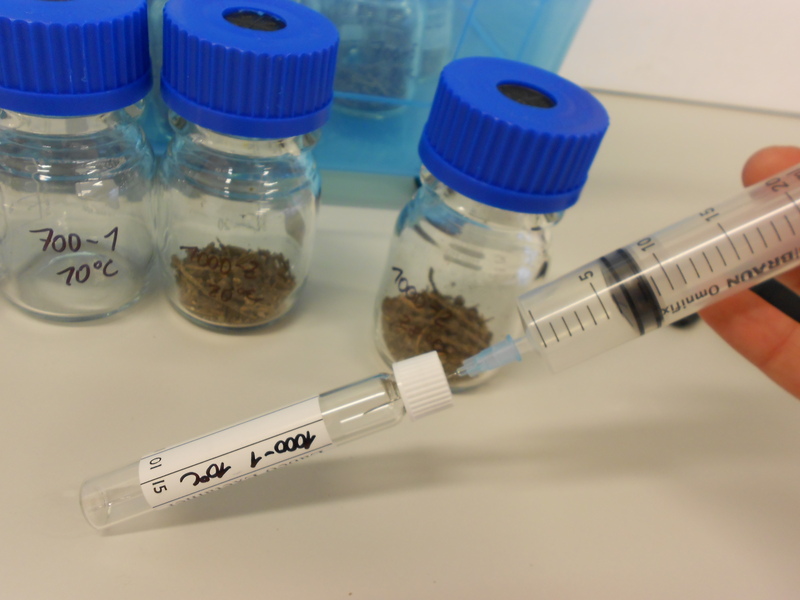 Veronika Jílková and her colleagues from the Institute of Soil Biology and SoWa Research Infrastructure aimed to explore an interesting aspect of ant living – nest heating. Ants heat their nest center and they do it from a great part indirectly, via microorganisms. How does it work? Ants bring substrates rich in carbon into their nests. It is for example resin or honeydew. Both of these compounds serve the ants as a building material (resin) and as food (honeydew). However, these compounds are indirectly used also by microorganisms living in ant nests and as they feed on them, they produce heat. This is especially true in spring and autumn when available carbon helps to increase otherwise low microbial activity and that in turn heats the nest. Ants consequently benefit from this heating system because it supports reproduction and brood development of ants. This clever heating system is one example of the broad engineering abilities of ants. For details see: Jílková V., Cajthaml, T., Frouz, J. 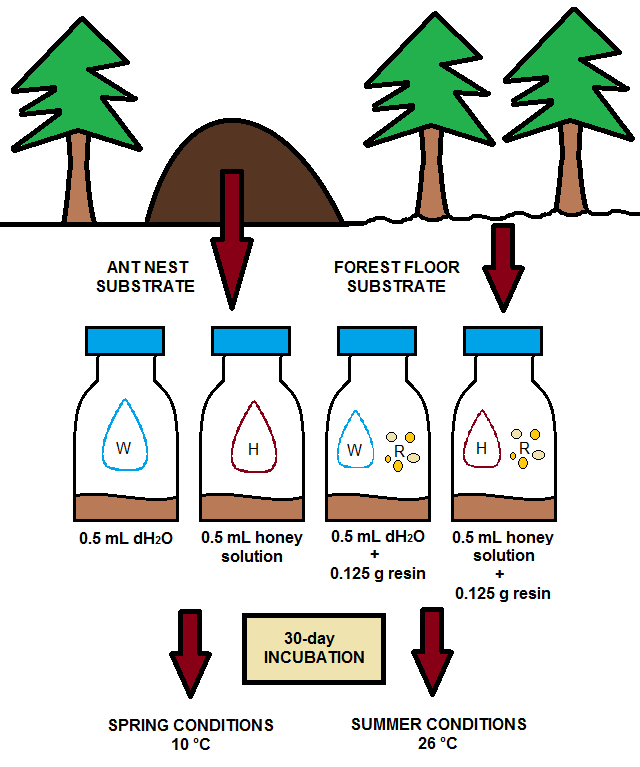 (2018): Relative importance of honeydew and resin for the microbial activity in wood ant nest and forest floor substrate – a laboratory study. Soil Biology and Biochemistry 117, 1–4.